Men's Doubles Event winners: Prime Castro and German Ebue of Strike Lower Hutt - Bronze Medal, Rob Pollock and Roger Tucker of Kapiti - Gold medal, Boyce Wong and Gregorio Nicolas - Silver medal. 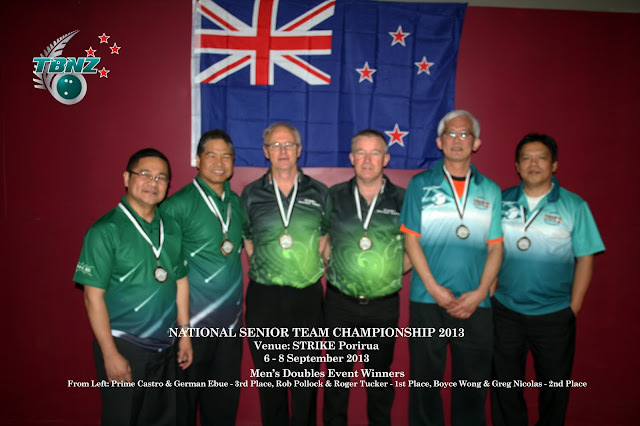 Men's Teams Event winners: From left to right, Strike Lower Hutt: Prime Castro, German Ebue, Coco Tuason, Stuart Cunningham (at the back) - 3rd place. Wellington Bowlarama - Yoyo Muljono, Albert Saw, Delfin de Guzman, Wayne Booth - 1st place. 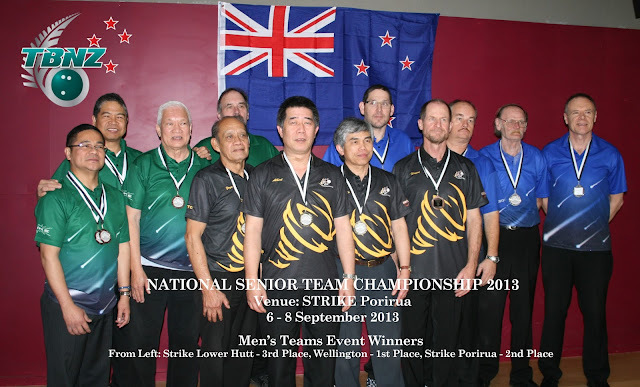 Strike Porirua - Hamish McGrigor, Peter Churchill, Colin McLean, Andy Smith - 2nd place. Ladies Doubles Event winners: Tauranga - Cathy Smith & Rhonda Colyer - Gold medal. 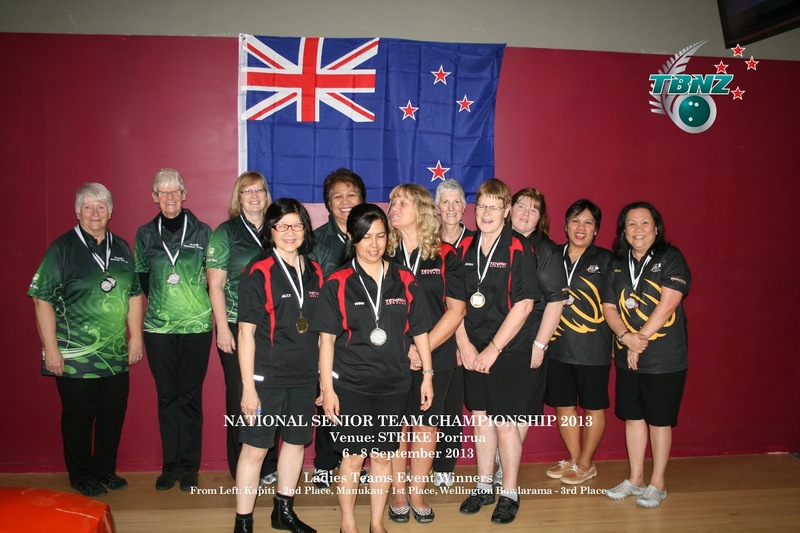 Kapiti - Josie Adams & Ivena Heald - Silver medal, Wellington Bowlarama - Annabelle Swain & Lynnaire Churchill - 3rd place. Ladies Teams Event winners:Kapiti - Josie Adams, Patricia Smith, Alana Matangi, Ivena Heald -2nd place. Manukau - Alice Knappstein, Wink Mutschin, Robyn Watkins, Donna Fletcher - 1st place. Wellington Bowlarama - Judy Booth, Lynnaire Churchill, Janet Miklos, Annabelle Swain - 3rd place.